The 30th edition of the Florence Biennial Antiques Fair will be opening its doors -from September 23rd to October 1st- in the Baroque halls of Palazzo Corsini. 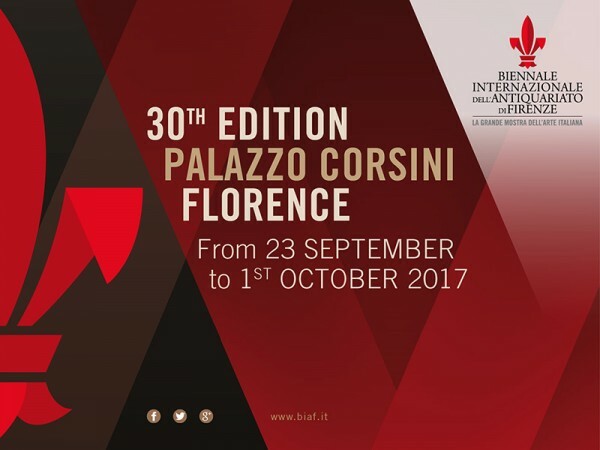 The fair is the oldest running art and antiques trade show in Europe and without doubt the most prestigious and international in Italy. This year the charming Palazzo Corsini will have a new layout by Matteo Corvino, a well-known Venetian interior designer, who conceived a glass ceiling and a reconstruction of an Italian-style hanging garden. Alessandro Cesati Gallery will be attending the 30th edition of this important event showing an appealing selection of sculptures and works of art, in the stand n° 47 facing the Throne Hall of the Palazzo. 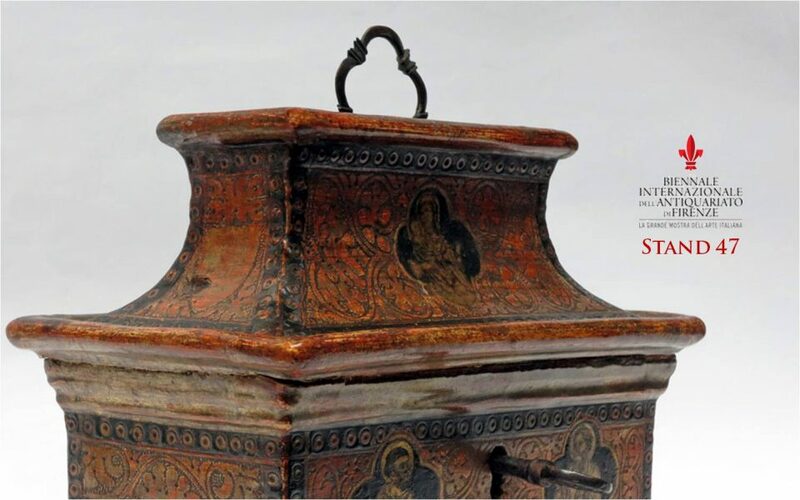 Among the significant works on show it is worth to mention a rare Tuscan wooden casket dating from the second quarter of the 14th Century, punched and decorated with a series of quatrefoil-shaped medallions, certainly painted by a great Sienese artist; the pagoda-shaped lid gives the casket its lovely and intriguing aspect. 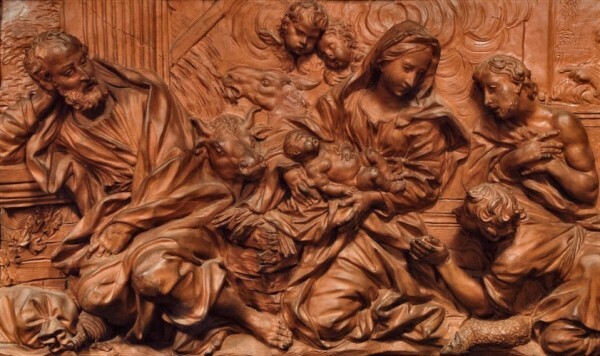 Another remarkable work of art on display will be a gorgeous and large terracotta high-relief attributed to Girolamo Ticciati, a well known baroque Florentine sculptor and architect and one of the best pupils of Giovan Battista Foggini; this impressive sculpture represents the Adoration of the Shepherds and shows the coat-of-arms of two Florentine families: Rospigliosi and Lanfredini. Another intriguing and rare work of art presented by the Alessandro Cesati Gallery is an extraordinary Baroque Casket with different expandable compartments that disclose miniature scenes of the life of Christ: a typical example of southern Italian craftsmanship developed between late 17th and early 18th century. We Look Forward to Seeing You at BIAF, Stand n°47! Opening Hours: every day from 10.30 a.m. to 8 p.m.